Mobile POS TECH is partnering with Generalscan to launch the Generalscan GS-WT1000, a new wired wearable ring type 1D barcode scanner with a PDA arm mount for convenient barcode scanner functions in busy warehouses that provide a more convenient and flexible solution that frees up both hands of the workers and will help increase efficiency and productivity. 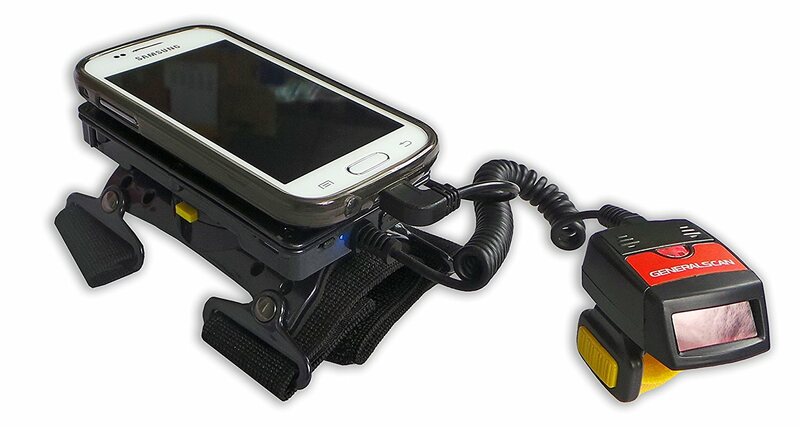 The GS-WT10000 connects to the PDA via a micro USB connector and has a battery in the arm rest providing backs up power for the Mobile while powering the scanner. The Generalscan GS-WT1000 Mobile wearable data terminal is specially designed for picking and sorting warehouse applications for picking and packing requirements. The barcode scanner provides your workers advanced mobile computing and scanning technology, while the users wear with Generalscan GS-WT1000 Mobile wearable data terminal. 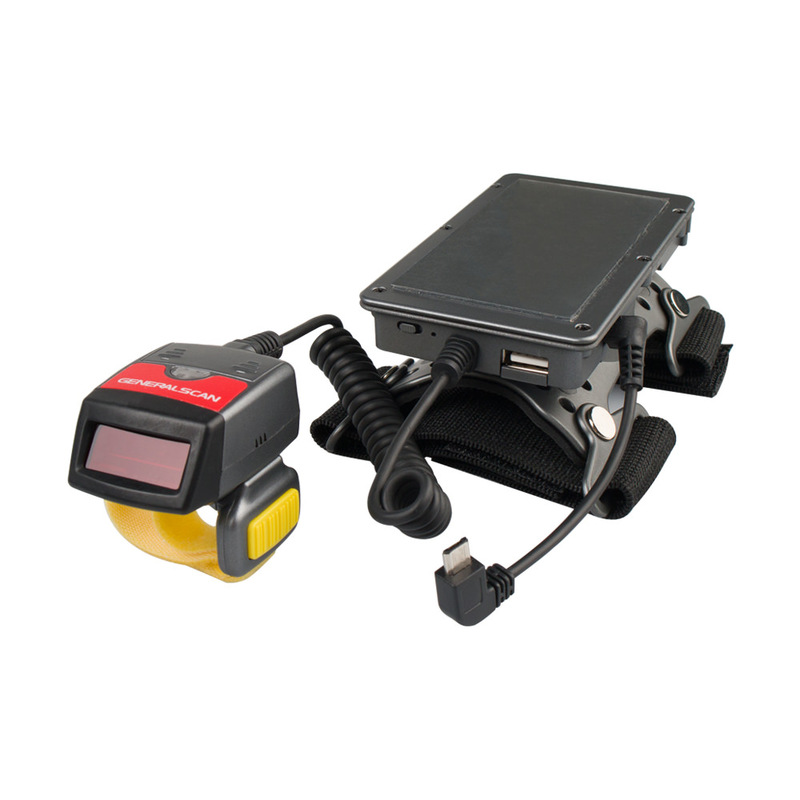 The GS-WT1000 solution offers integrated functionality as wearable armband, ring barcode scanner, Android Mobile battery charger, and a data communication functions into one device. The GS-WT1000 has an ergonomic hand-free wearable design with patented rotation platform enables you easily operate the devices and integrate the barcode reading functionality into your Apps via the SDK. The Generalscan GS-WT1000 Mobile wearable data terminal is equipped with an interchangeable 3100 maH battery which provides enough power to ring barcode scanner and Mobile charge function to Android Mobile for a whole days usage. The battery is compatible with Samsung Note2 android Mobile and the MicroUSB connectivity means you will never need to purchase expensive battery accessory for obsolete out-of-date PDAs. The replaceable rotation platform design enables you easily connect many cost effective and high performance Android Mobile and PDAs and therefore offers greater flexibility so that you are never tied to expenisive rugged and out-of-date Win-CE PDA devices. GS-WT1000 can be replace the traditional ,heavy ,expensive data collection terminal,you can use it for any mobile barcode scan application with your Mobile such as express logitics ,warehousing ,freight forwarding,product barcode traceability,asset management,shopping mall and super market.